79 cards + a 276 page softcover companion book housed together in a sturdy shelf box. Cards measure 11 cm tall x 7 cm wide, have rounded corners, and white borders. The backs are non-reversible. The card stock is flexible, with a smooth, matte finish. 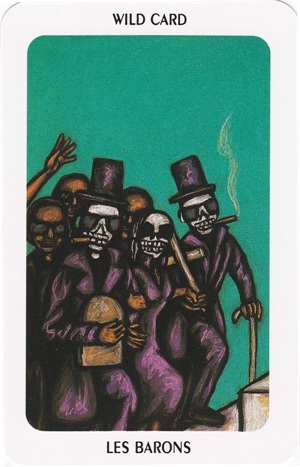 Given the descriptions in the companion book and the naming and numbering of the cards, this deck seems to have been influenced by both the RWS and Thoth traditions. 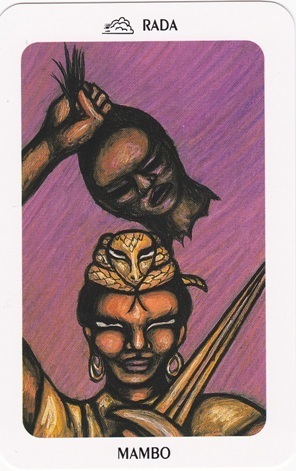 Possession (Strength or Lust) is 8 and Secret Societies (Justice or Adjustment) is 11. 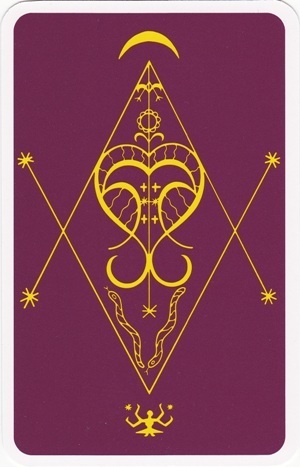 The companion book suggests alternate numbering for Possession and Secret Societies (that each could be 8 or 11), but the cards themselves bear only one number. 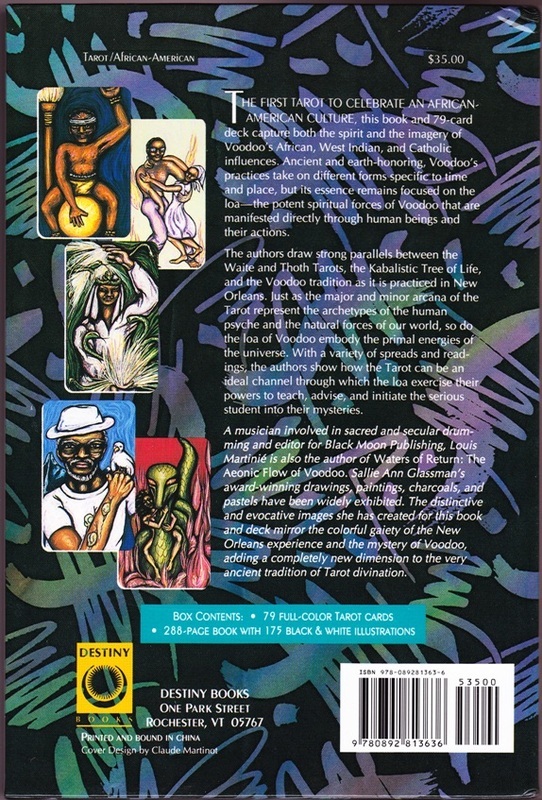 Suits are Petro (Fire), Congo (Water), Rada (Air), and Santería (Earth). Courts are called the Temple cards, and are Hounsis (Princess), La Place (Prince), Mambo (Queen), and Houngan (King). The minors are scenic, but are light on traditional tarot symbolism. There's also a Wild Card in this deck in addition to the usual 78 -- The Barons. 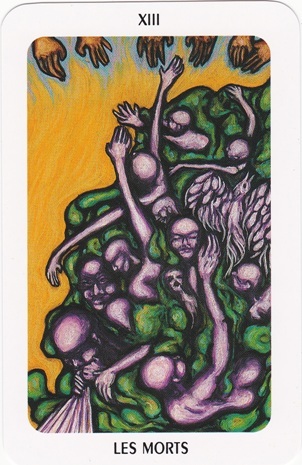 According to the companion book, this card may indicate an "extreme unexpected turn of events; a sense of humor pulls one through dire circumstances" (page 90). I purchased my copy of this set, new, from eBay for roughly the normal retail price (about $27 USD) in February 2014. 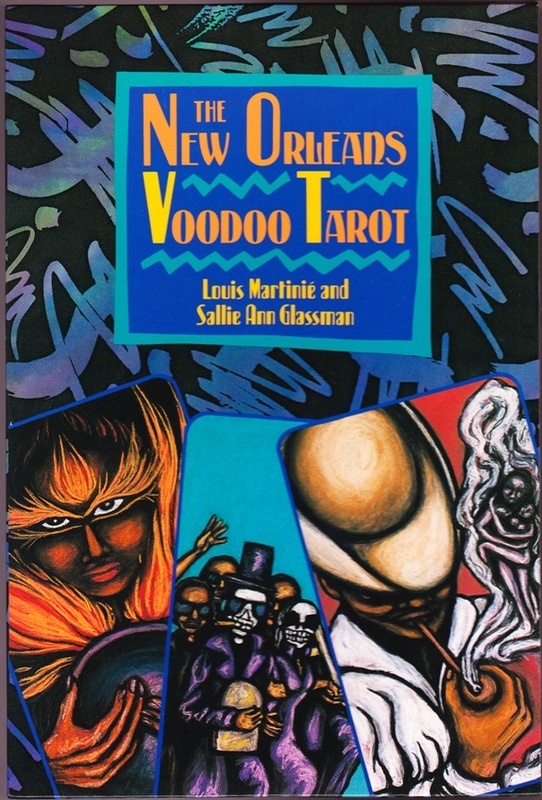 The New Orleans Voodoo Tarot by Louis Martinié and Sallie Ann Glassman. Softcover. 276 pages. Black and white illustrations. 1992 (c). Packaged as part of a set with the cards. 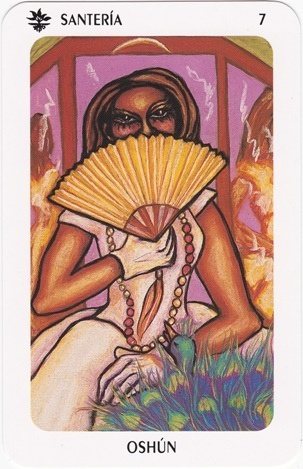 Sallie Ann Glassman (artist), “New Orleans Voodoo Tarot,” The Osborne Tarot Collection, accessed April 21, 2019, http://tarot.zerosummer.org/items/show/286.